Following on the heels of La Marmotte’s route change for next week, the ASO has been forced to do the same thing for the Tour de France. 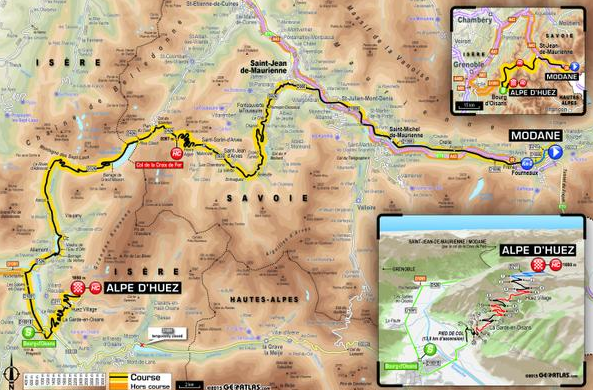 Stage 20, the penultimate barn-burner that was supposed to be a carbon copy of the Modane-Alpe d’Huez 2011 stage that helped assure Cadel’s win, will now skip the Galibier because of work on the tunnel near Bourg d’Oisans that is the only way down to AdH (was that a run-on sentence? It feels like it…). 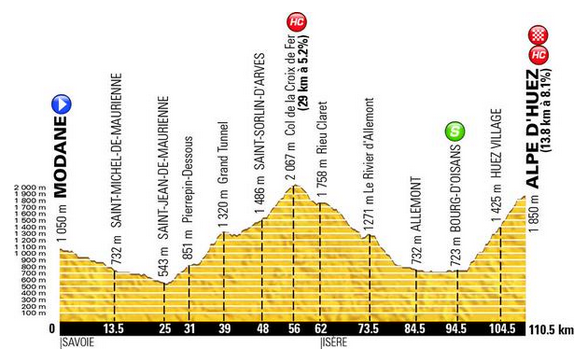 Instead, the stage will now roll further down the Maurienne valley and climb the Col de la Croix de Fer instead, bringing the peloton into the Oisan valley and the foot of Alpe d’Huez. The high-altitude singing ladies of the Chalet Col du Glandon will definitely be doing some brisk business this year.